Global Femtocell Equipment Industry 2015 Market Research Report | Market Research Reports® Inc. Global Femtocell Equipment Industry 2015 Market Research Report report is published on August 30, 2015 and has 168 pages in it. 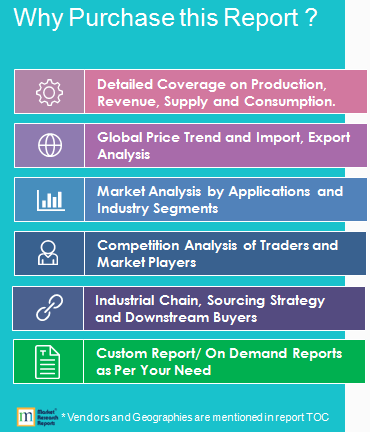 This market research report provides information about Machinery, Environmental Services, Industry & Manufacturing industry. It covers Global regional market data and forecasts. It is priced starting at USD 2,850.00 for Single User License (PDF) which allows one person to use this report. 2015 Global Femtocell Equipment Industry Report is a professional and in-depth research report on the world's major regional market conditions of the Femtocell Equipment industry, focusing on the main regions (North America, Europe and Asia) and the main countries (United States, Germany, Japan and China). The report firstly introduced the Femtocell Equipment basics: definitions, classifications, applications and industry chain overview; industry policies and plans; product specifications; manufacturing processes; cost structures and so on. Then it analyzed the world's main region market conditions, including the product price, profit, capacity, production, capacity utilization, supply, demand and industry growth rate etc. In the end, the report introduced new project SWOT analysis, investment feasibility analysis, and investment return analysis. This report studies the Aerospace Materials market, Aerospace materials are materials, frequently metal alloys, that have either been developed for, or have come to prominence through, their use for aerospace purposes. Machine Screws industry has much fragmented, manufacturers are mostly in China and Europe. Among them, China Production value accounted for less than 32.53% of the total value of global Machine Screws in 2015. Bossard is the world leading manufacturer in global Machine Screws market with the market share of 1.31% in 2015. Unmanned Aircraft Systems (UAS) is an aircraft system without a human pilot aboard, commonly known as a drone and also referred by several other names. Unmanned Aircraft Systems can be remote controlled aircraft or fly autonomously based on pre-programmed flight plans or more complex dynamic automation systems, they can be used both for wild land firefighting and civilian fields. Intelligent Vending Machines now represents a new breed of vending machine connected to the internet. Aerospace Materials market is expected to grow at a CAGR of roughly 2.0% over the next five years, will reach 11.5 Billion USD in 2024, from 10.2 Billion USD in 2019.